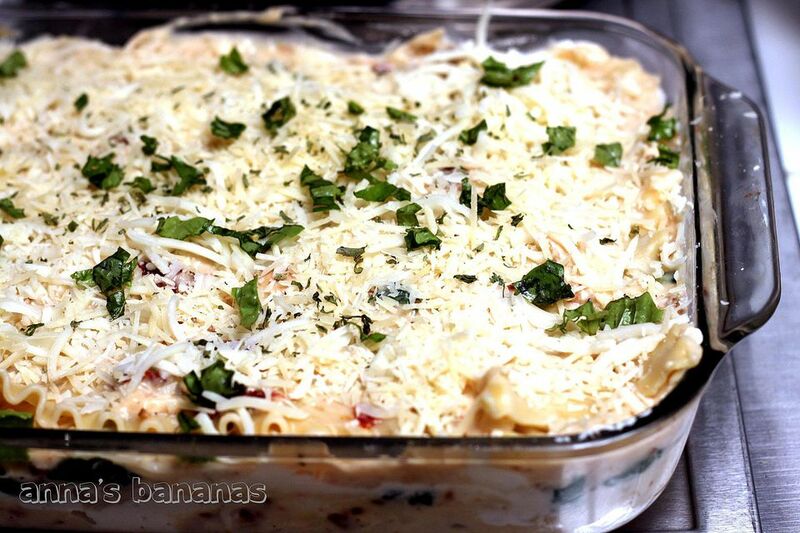 This super simple and easy recipe for Chicken Alfredo Casserole is a great choice for dinner. Make it as directed or alter it as you'd like. In cooking recipes, you can use different meats, different pastas, and different cheeses and seasonings and the recipe will still work fine. For ideas, use a four-cheese Alfredo sauce or use a couple of cans of cream of "whatever" soup. You can also add more cheese, or add frozen sliced carrots, peas, or asparagus. Use your imagination! Just make sure you write down the changes after you have made the recipe (and have decided that you like it) so you can reproduce it in the future. There are only five ingredients in this tasty dish, so it can be assembled in minutes. In fact, you can make it ahead of time and refrigerate it up to 2 days before you bake and serve it. Serve this great casserole with a green salad tossed with sliced mushrooms and grape tomatoes or avocados, and some toasted garlic bread or cheese bread for some crunch. Iced tea or white wine would be a great accompaniment. And for dessert, an apple pie or a cheesecake from the bakery would be the perfect finishing touch. Preheat the oven to 350° F. Spray a 9" x 13" pan with nonstick cooking spray and set aside. Bring a large pot of water to a full rolling boil. Cook the pasta in the water for 2 minutes less than cooking time on package (the pasta will finish cooking in the casserole). Meanwhile, in a large saucepan, combine both containers of Alfredo sauce with the milk; heat until the mixture begins to bubble. When pasta is almost cooked, drain well and add it to sauce along with the chicken and half of the Parmesan cheese. Pour the food into the prepared dish and top with the remaining Parmesan cheese. Cover the dish with foil and bake for 20 minutes. Uncover the casserole and bake for 15 to 20 minutes longer or until the casserole is bubbly and cheese melts and begins to brown. You can vary this dish in many ways: add 1 cup sliced frozen carrots, thawed, 2 cups frozen baby peas, thawed, 1 (10-ounce) package frozen asparagus, thawed, 2 cups frozen green beans, thawed. Or top the casserole with 1/3 cup bread crumbs mixed with 3 tablespoons melted butter; add that after the casserole is uncovered.